If you like to walk off the beaten path without giving up your down jacket, coco sweet is the accommodation for you. 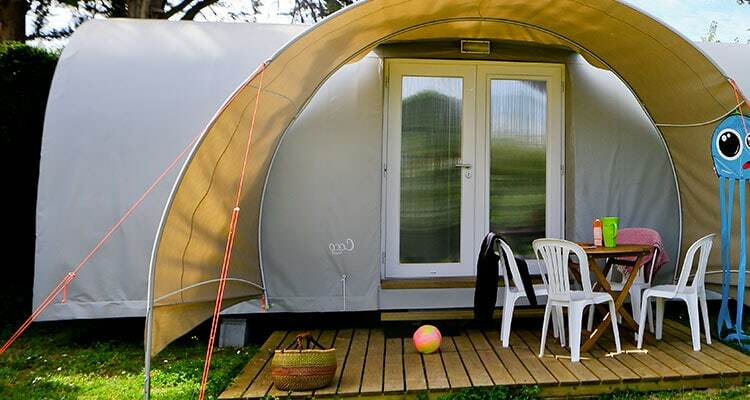 This unusual accommodation has been designed for holidaymakers in search of originality who want to live a unique experience, different, while enjoying great comfort. 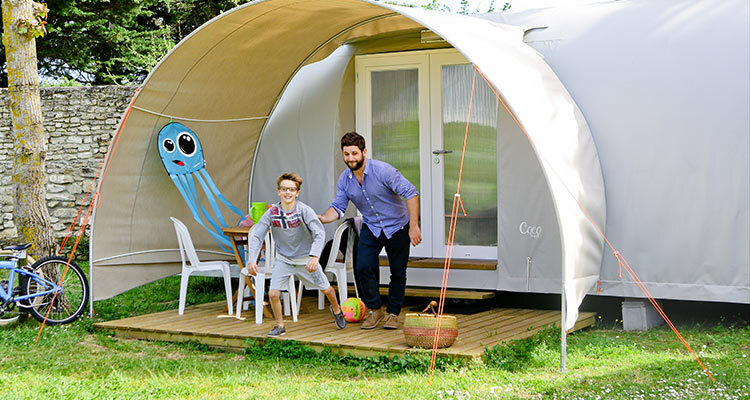 Characterized by its rounded shape and surprising design, the coco sweet is actually a mobile home covered with a canvas. 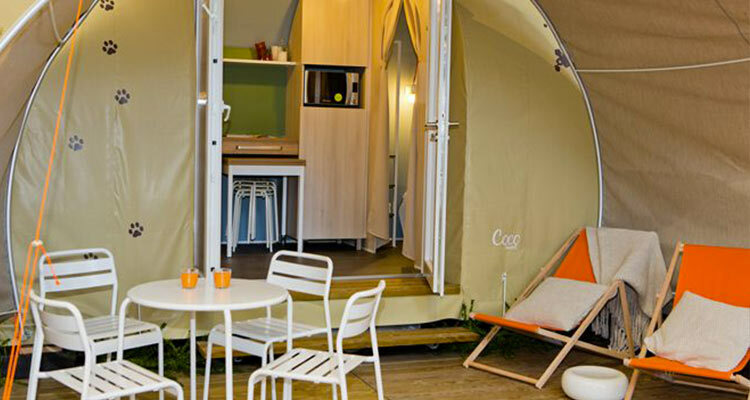 From the outside, it will seduce traditional camping enthusiasts who have, for years, woven close ties with their tent. 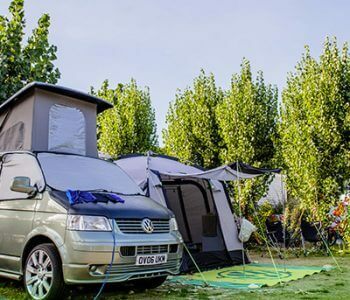 From the inside, it will delight demanding campers who want both the luxury of a hotel and the originality of a bungalow. Scheduled for 1 to 4 people, the sweet coco is for couples, couples / groups of friends and families with 1 or 2 children. 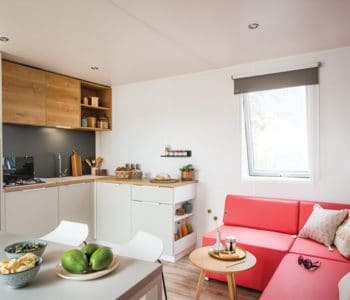 It has a bedroom with double bed and wardrobe, a bright living room with convertible benches into two single beds and a fully equipped kitchenette (crockery, 2-burner stove, fridge, microwave). Despite its compact size (16 m2), it is functional and very well laid out. Our unusual accommodation has another outdoor living space: the steps of 3 x 1.50 m overlooking the greenery. This covered terrace with its garden furniture will be your gathering place at mealtimes and your haven to read or relax at any time of the day. 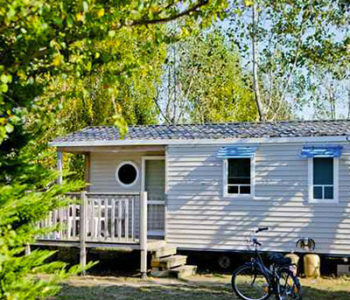 The coco sweet is a new generation bungalow fully secure. Its rigid walls are very well insulated, and the front door has a lock so you can swim or walk around with peace of mind. 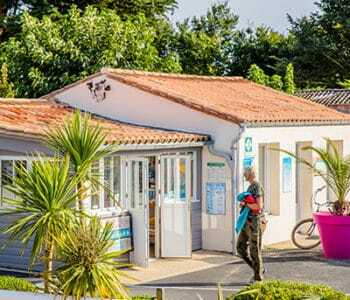 What are you waiting for to book your unusual holiday in Ile de Ré and try the sweet coconut?